Please welcome my sweet friend Rachel Daniel of Brave Pursuit to the blog today! This November, my husband and I will be married for nine years. While I am more in love with my husband today than I ever thought possible, I have to be honest and say that our marriage wasn’t always so great. In fact, I don’t think we got to the “honeymoon” phase of our marriage until we were three or four years into the marriage. Those first few years were rough, and looking back on things, I know now it was only by God’s grace and mercy that we made it to where we are today. This has to be one of the hardest blog posts I’ve ever shared because I want the world to look at and love my husband in the same way I do, through the eyes of Christ. However, to love someone with the eyes of Christ, you have to see every part of them with honesty and transparency…which is why I’ve been so guarded up until this point to protect the image of my husband. The honest and transparent truth is that I’m married to a man who battles with a mental health disability: Bipolar Disorder. Neither David or I knew that he was suffering from a mental disability until things began to rapidly unravel in our marriage. 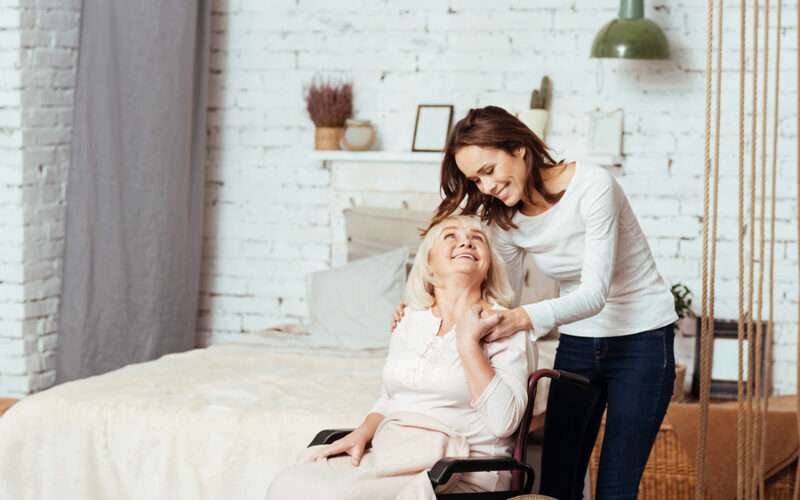 He battled his disability while I battled my inability to meet his needs due to my own selfish pride, stubbornness, and unrelenting desire to always be right (classic baby-of-the-family syndrome). Praise God that in spite of our difficulties, we both desired to stay married and do whatever we could to save our marriage. We ended up seeking professional help in the form of a counselor where David was diagnosed with bipolar disorder. Once diagnosed and medicated, we were left believing things would be “fixed.” We had no idea that our marriage would still require work because a single pill doesn’t “fix” everything. Actually, we had no idea that our marriage would require more work than most marriages. As a Christian wife married to a man who lives with a bipolar disorder, God has taken me on a spiritual journey that I never could have anticipated. I grew up in church my entire life, but I never knew what it was to truly have an intimate relationship with God until I desperately needed His grace and mercy over and over, minute after minute, every day to learn to be the wife my husband needed. Being nice, keeping a clean house, and raising our kids wasn’t what my husband needed. With the help of God every single day, I get the chance to really know what it means to be a Godly, Proverbs 31 wife that my husband needs and desires. I rely daily on prayer and counsel from God to help me in my marriage (Romans 73:23-24). So what does it look like being a Godly wife to a Godly man who battles for his mental health? The reality of walking those ideas and principals out though often looks different than most marriages. For example, I am the thermostat for our house. I do my best to always gauge when the emotional well-being of our family is in normal ranges or when I can sense a shift in the climate. It’s my job, to understand and prepare to handle when the climate changes due to my husband and children’s emotional state. For example, when my husband is in a manic cycle, it’s my job to interpret his needs: space, sleep, adjustment in medication, extra attention, sounding board, problem solver, etc. Sometimes, this involves me understanding and encouraging him to spend time in his “man-cave” for a few days without the pressures of being the world’s best dad and husband. Sometimes I take the kids out for most of the day, giving him peace and quiet. Other times, this may mean that I set up a date night for us so that I can give him my exclusive attention without any interruptions. Other times, he just needs me to listen to him vent about his frustrations with life, kids, work, finances, and the other million things he’s carrying day to day for our family without judgment and without trying to “solve” his problems. I’ll admit, I struggle most with trying not to “solve” and just listening probably more than anything else in our relationship. That’s where God has to remind me day after day to show my husband I can simply listen, and God has to grant me a lot of grace and mercy because I fail at this task regularly. I used to rely solely on my husband to meet my emotional needs, and when he failed because he was a human, I was crushed and left unsatisfied. It was only when I turned to God to meet my emotional needs that I found a joy that I never knew existed within the contexts of my marriage. Because I rely on God’s ability to fill me with joy, when my husband is human and makes mistakes, I can still love him, forgive him, have a passion for him, and find happiness in him. In recent years, David and I have become best friends. We don’t have the perfect marriage. We still fight. We handle the difficulties of him being bipolar daily. I fail to be the kind of wife and mother God has called me to be at least once a day…okay, it’s probably more like ten times a day. Even still, by the grace of God, our marriage is wholly satisfying and filled with a joy that neither of us thought we could experience. We learned (often times through trial and error) how to be each other’s spouse, best friend, partner, lover, and warrior. I wouldn’t wish for anyone to battle a mental disability. However, I know that because of my husband’s daily ability to be an amazing husband and father in spite of his mental health challenges, he has learned how to show compassion to me and our daughters in depths I don’t possess. He picks up the slack when I’m failing (especially in my third trimester of pregnancy with our third daughter), and he has an uncanny ability to get things done despite overwhelming obstacles. A bipolar diagnosis has taught us to rely on Christ in ways we could’ve never imagined, thus leading us to our best marriage ever. As Rachel so eloquently shares the struggles in life are really real, but SO IS OUR GOD, and He is always there to see us through! I am so excited to share The Struggle is Real: But So is God Bible Study is now available in paperback and Kindle on Amazon and launches May 7, 2019. Equip you with empowering wisdom. Help you grow spiritually by claiming God’s promises as your own. Teach you how to declare scripture over yourself to strengthen your inner being. Show you how to conquer challenges by activating God’s Word in your life. Pre-order your copy today The Struggle is Real: But So is God. One of the places I encourage women in addition to my blog, speaking or podcast is through my writing at A Wife Like Me. A Wife like me exists to create thriving marriages by providing life-changing biblical truths and tools to wives. 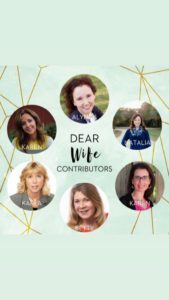 We have a fantastic team of contributors, the A Wife Like Me team who has come together to provide a resource for wives to grow closer to Jesus, and their husbands through our first book, Dear Wife. 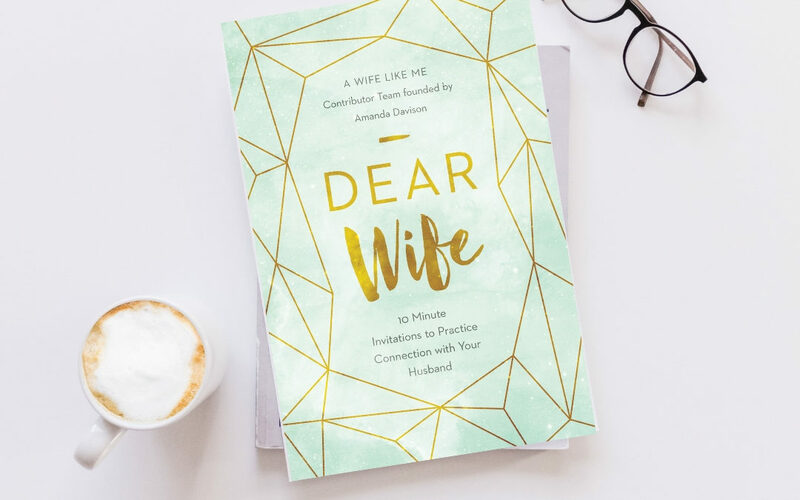 I recently got a chance to read the proof of our book, Dear Wife: 10 Minute Invitations to Practice Connection with Your Husband devotional book this week and I bawled HAPPY TEARS! It is so beautiful and life-giving!!! 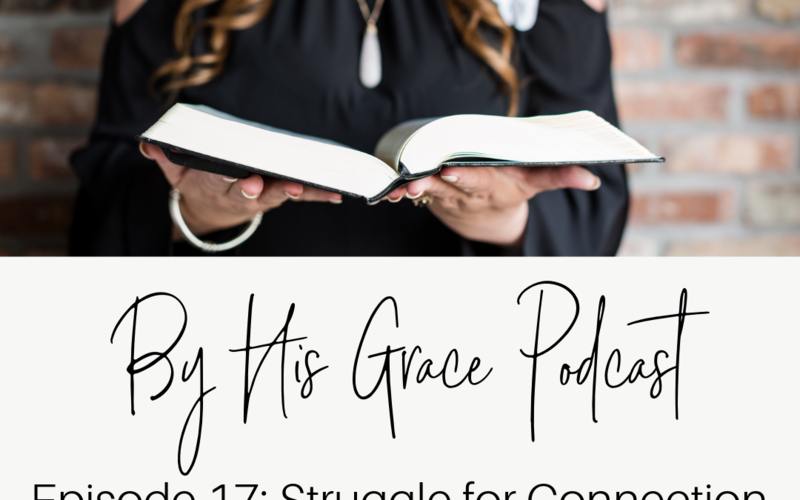 This week on By His Grace Podcast I sat down with Amanda Davison The Founder of A Wife Like Me, and fellow contributor Natalia Drumm. 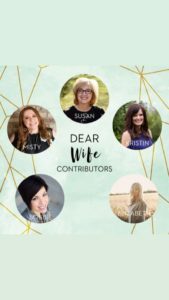 We talked about the struggles of connection and communication in marriage, and the heart behind the Dear Wife book. I would LOVE for you to join us as we release this beautiful offering into the world. 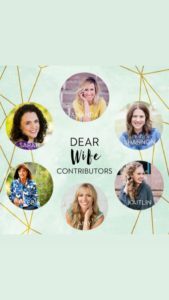 We have a fantastic team of contributors at A Wife Like Me team who have come together to provide a resource for wives to grow closer to Jesus, and their husbands through our first book, Dear Wife. Dear Wife contains 26 invitations, with ten minutes of practices, to grow in your connection with your husband. Two of the invitations in the book I wrote and collaborated with the talented contributors who are accomplished authors, speakers, and Christian leaders. These wive’s love the Lord, and have walked through fire in their marriages and have lived to tell about it. Each invitation includes scripture from the life of Jesus, a message, and thought-provoking reflection questions. The A Wife Like Me team has poured so much prayer, energy, and love into these pages! Being married is great, but being married and feeling intimately connected is what every wife desires. 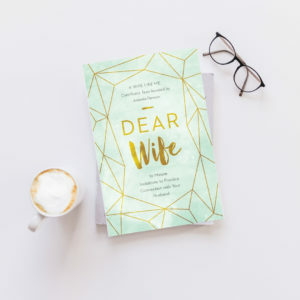 Dear Wife provides you with twenty-six heart-changing invitations to discover how Christ desires connection with you and how through connection with Christ, you’ll develop a deeper connection with your husband. 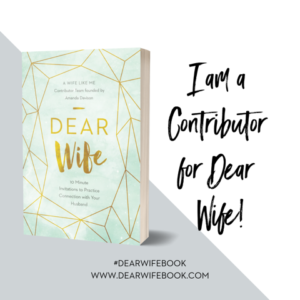 Dear Wife is available for pre-order now and launches May 1, 2019.